Home / GST-Tally / TallyERP.9 Lessons / How to charge Freight, Transportation, Packing or any other Expenses in GST Invoice? Recently we have so much query about how to show freight, transportation, packing or any other expenses in GST invoice with Tax Liability. Now we see how to calculate Freight automatically on value or on quantity. For Create Freight Ledger - Go to Gateway of Tally - Accounting Info - Ledger - Create. Select yes to GST Applicable and define the applicability of Tax for which Freight will be charged. Press enter to save the ledger creation. Remember this option is very important to bifurcate your sales according to GSTR - 1 because this option show you tax classification in your voucher, select appropriate classification. 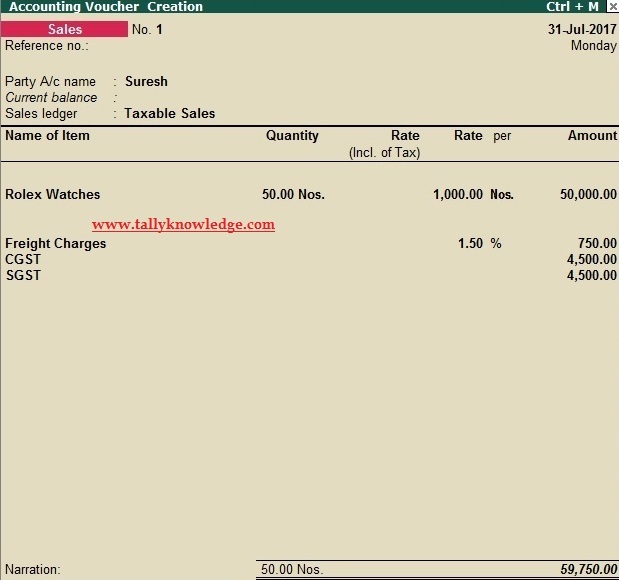 You can define your sales / purchase/ expenses/ income through this option which is taxable/ exempt/ consumer/ unregistered etc. 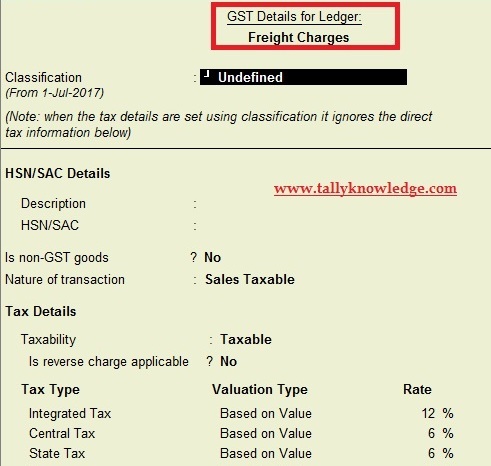 When you press Enter on Freight, tax classification appear on your screen, if you want to charge GST on freight then select taxable or if you do not want to charge GST on freight then select exempt (remember if you select unregistered then Reverse charge liability will be charge on you). 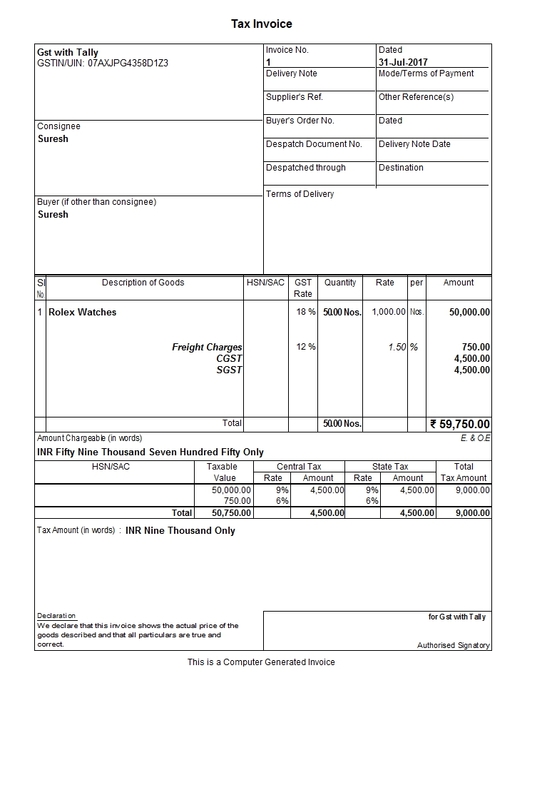 Press Enter to save the voucher and print the invoice. Its done. 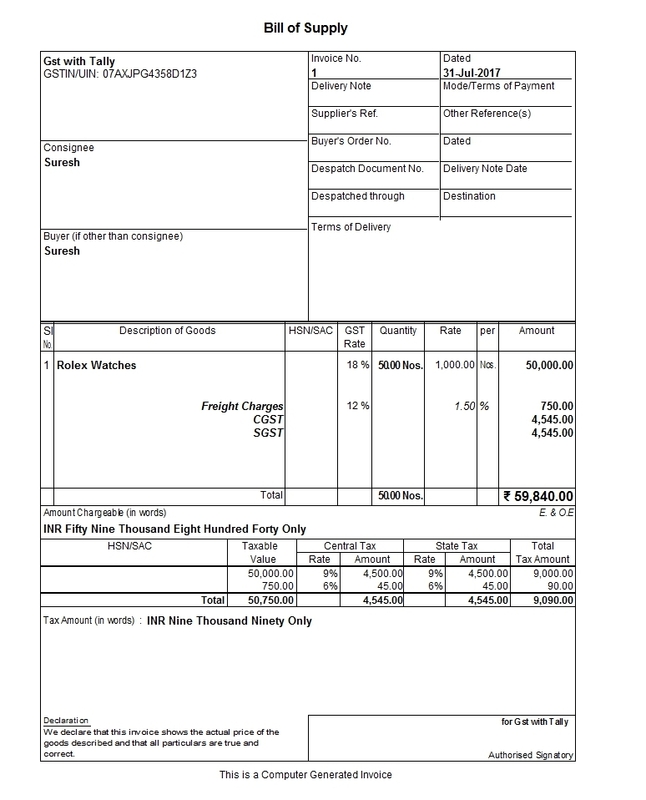 For Example we show two invoices including GST on Freight and without GST on Freight. i m purchasing 1 kg @200 +5 % gst + rs 9 transportation cost and selling the same at @235(including gst) can anyone help me out to find profit. Valuable post. I am impressed with your article which gives lots of valuable points. If you want to get Heavy Equipment Transportation service then contact us.